The Andrews Labor Government will provide $500,000 to help transition one of Victoria’s strongest renewable energy regions towards a thriving low-carbon economy. Minister for Energy, Environment and Climate Change Lily D’Ambrosio was in Ballarat today to announce that Grampians New Energy Taskforce (GNeT) will use.. The Andrews Labor Government is delivering a new plan for the future of recycling to strengthen the sector. Minister for Energy, Environment and Climate Change Lily D’Ambrosio today announced a $37 million package that will increase the quality of recycled materials in Victoria and develop..
Victorians can now register for the Andrews Labor Government’s $50 Power Saving Bonus when they visit the Victorian Energy Compare website and search for a better deal on their gas and electricity bills. Premier Daniel Andrews encouraged households across the state to get online and.. The Andrews Labor Government has announced the members of a new independent body to manage the Caulfield Racecourse Reserve. The Caulfield Trust will focus on improving public access and use of the Reserve, while ensuring the Caulfield Racecourse continues to be one of Australia’s premier.. 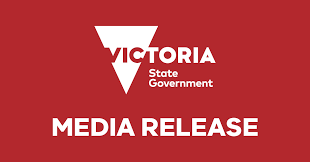 The Andrews Labor Government will fund solar PV installations on 30 public buildings and sites in the Latrobe Valley to help reduce emissions at a local level. Minister for Energy, Environment and Climate Change Lily D’Ambrosio was in Morwell to announce the sites that will.. Residents in the City of Latrobe, Baw Baw and Wellington Shires can now buy locally-made solar hot water systems, thanks to an investment by the Andrews Labor Government. Minister for Energy, Environment and Climate Change Lily D’Ambrosio was in Morwell to launch the Gippy Bulk..
A proposal to develop a best practice regional composting facility near Morwell has received a $500,000 boost from the Andrews Labor Government. Minister for Energy, Environment and Climate Change Lily D’Ambrosio visited the site of the $5 million project today, which will use an enclosed..
Victorians in apartments and communal properties will be granted new rights from 1 July 2018, thanks to reforms introduced by the Andrews Labor Government. The Labor Government has given expanded powers to the Essential Services Commission (ESC) to better protect customers living in high-rise apartments,.. The Andrews Labor Government will ban single-use, lightweight plastic shopping bags from 2019 to help protect our environment from plastic pollution. The ban will come into effect from late next year and will include all plastic shopping bags less than 35 microns in thickness –.. The Andrews Labor Government has announced the biggest funding boost to Victoria’s treasured Royal Botanic Gardens in more than 20 years. Minister for Environment Lily D’Ambrosio unveiled a $27 million funding package over five years for the Royal Botanic Gardens Victoria (RBGV) to revitalise its.. The Andrews Labor Government is giving Victoria’s Environment Protection Authority (EPA) the powers and tools it needs to stop pollution in its tracks. Minister for Environment Lily D’Ambrosio introduced the Environment Protection Amendment Bill 2018 into Parliament to deliver on the final stages of the Labor Government’s..
Victorians everywhere have more time to put forward their great local ideas for funding, with the deadline for the Andrews Labor Government’s Pick My Project initiative extended to 8 July. The Victorian first, $30 million initiative gives every Victorian over the age of 16 the opportunity to..
A train will arrive in Mernda for the first time in nearly 60 years next month thanks to the Andrews Labor Government, with the first test train on track in preparation for passenger trains running later this year. Construction crews are installing the final section.. The Andrews Labor Government is delivering a major recycling boost to local councils and businesses in regional and rural Victoria. Minister for Environment Lily D’Ambrosio today announced $4.2 million in funding for 13 recycling projects as part of the second round of the Resource Recovery Infrastructure.. The Andrews Labor Government has provided Victoria’s wildlife rehabilitators with a further $170,000 in funding to help them care for sick, injured and orphaned wildlife. Minister for Environment Lily D’Ambrosio today announced the more than 100 successful applicants for the 2017/18 Wildlife Rehabilitator Grants, who..
Construction has begun on the Stockyard Hill Wind Farm, which will see Western Victoria become home to Australia’s biggest wind farm generating enough electricity to power more than 340,000 households. Premier Daniel Andrews and Minister for Energy Lily D’Ambrosio today visited the massive wind farm.. The Andrews Labor Government is backing a new energy policy centre to help drive reform, and ensure Victoria’s energy system remains reliable, affordable and increasingly sustainable. Minister for Energy Lily D’Ambrosio today launched the Victorian Energy Policy Centre (VEPC) – a collaboration with Victorian University,..